The pumas that live closest to the Equator are the smallest, and increase in size in populations closer to the poles. 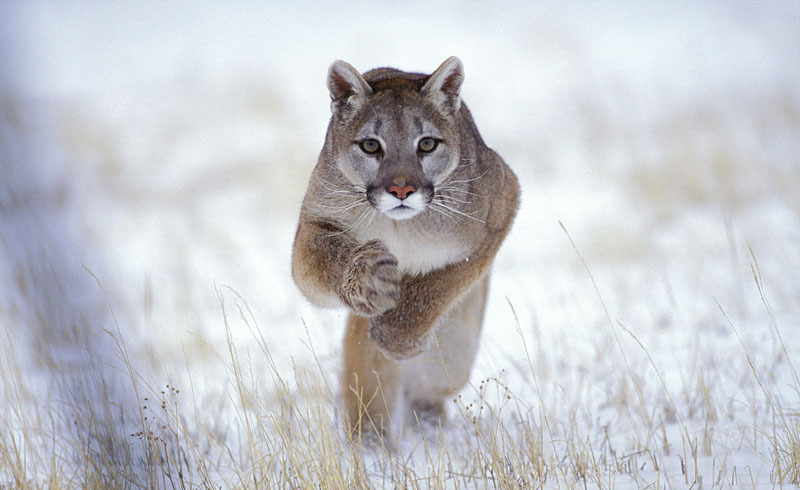 The cougar (Puma concolor), also commonly known as the mountain lion, puma, panther, or catamount, is a large felid of the subfamily Felinae native to the Americas. Its range, from the Canadian Yukon to the southern Andes of South America, is the most widespread of any large wild terrestrial mammal in the Western Hemisphere. 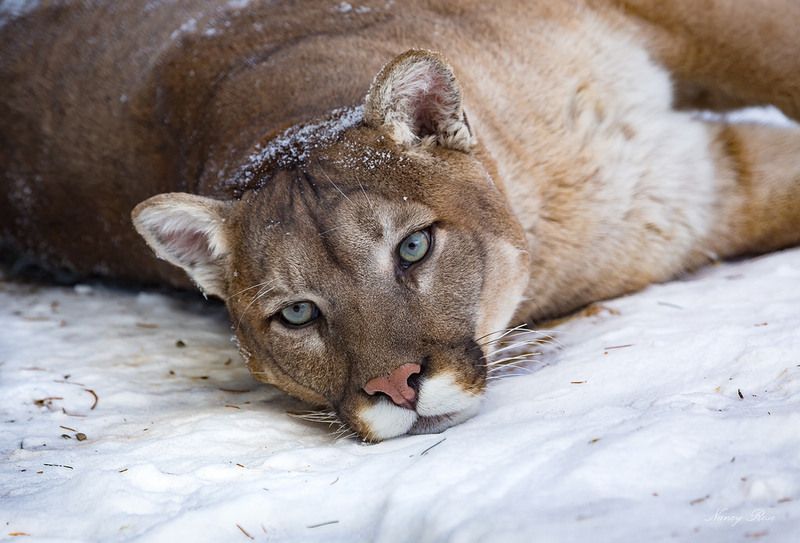 An adaptable, generalist species, the cougar is found in most American habitat types. It is the biggest cat in North America, and the second-heaviest cat in the New World after the jaguar. 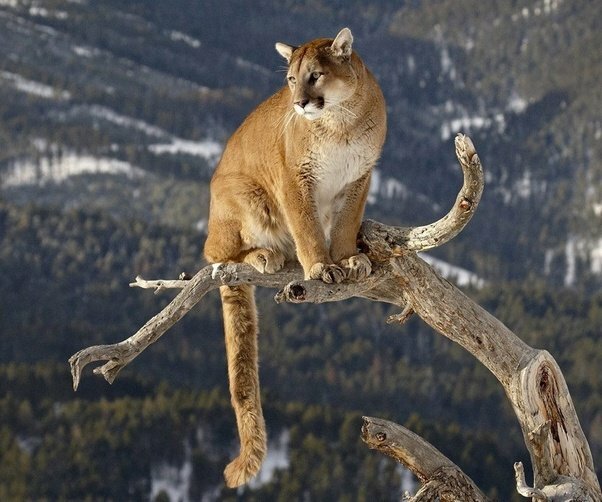 Secretive and largely solitary by nature, the cougar is properly considered both nocturnal and crepuscular, although daytime sightings do occur. The cougar is more closely related to smaller felines, including the domestic cat (subfamily Felinae), than to any species of subfamily Pantherinae, of which only the jaguar is native to the Americas. The cougar is an ambush predator that pursues a wide variety of prey. Primary food sources are ungulates, particularly deer, but also livestock. It also hunts species as small as insects and rodents. This cat prefers habitats with dense underbrush and rocky areas for stalking, but can also live in open areas. 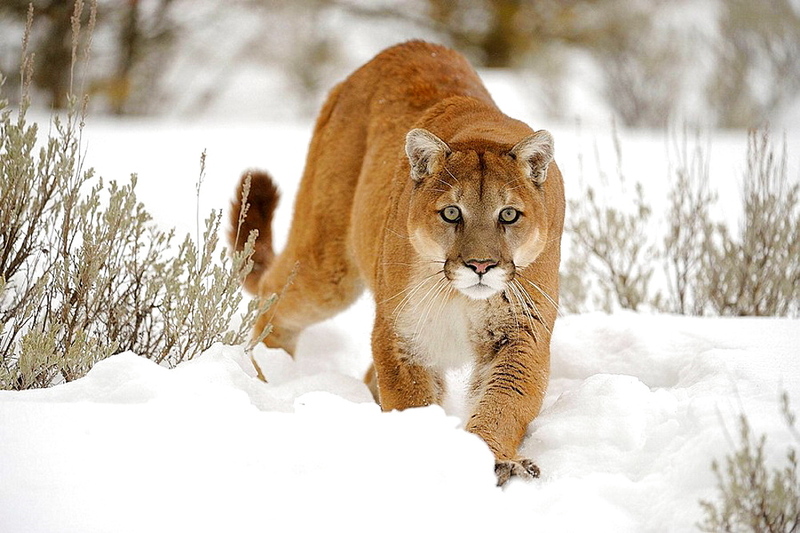 The cougar is territorial and survives at low population densities. Individual territory sizes depend on terrain, vegetation, and abundance of prey. While large, it is not always the apex predator in its range, yielding to the jaguar, gray wolf, American black bear, and grizzly bear. It is reclusive and mostly avoids people. Fatal attacks on humans are rare, but have recently been increasing in North America as more people enter their territories.